Although official opening day for the 2018 season at Columbus County Community Farmers Market is not until the second Saturday in May, the market will be bustling with activity on Saturday, April 7, as the Farmers Market and the Columbus County Extension Master Gardeners celebrate spring with a free plant & seed swap & sale. The event will be held from 8 a.m. until 1 p.m. Participants are encouraged to bring plants, seeds, bulbs, tubers, rhizomes, cuttings, plant books, gardening tools, etc. to swap or sell to other plant enthusiasts! Booth space and admission is free! For more information or to reserve a space, please call market manager Susie Rockel at 252-588-0300 or email info@columbuscountyfarmersmarket.com. In preparation of its 20th annual market season, the farmers market is seeking new vendors and volunteers. 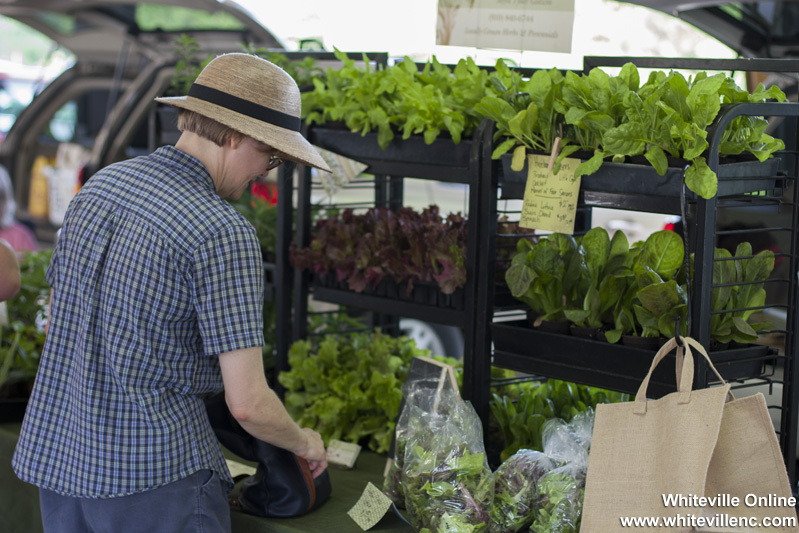 Individuals interesting in becoming a farmers market vendor are encouraged to attend a free new vendor orientation session at 9:00 a.m. on Saturday, April 7, at the farmers market kitchen. The 30-minute informational meeting will include a tour of the market, overview of guidelines and fees, as well as a question and answer session. Anyone with locally grown fruits or vegetables, baked goods, canned products, or handmade crafts are invited to attend. Any new vendor who attends will receive a voucher for a free, one-day vendor space at the market (limited to one per family or farm). Volunteer opportunities are available on Saturdays throughout the market season to assist patrons with t-shirt and promotional purchases, informational booth, and special events. Individuals interested in becoming a farmers market volunteer are encouraged to attend a free new volunteer orientation session at 10:30 a.m. on Saturday, April 7, at the farmers market kitchen. The Columbus County Farmers Community Market is located at 132 Government Complex Road in Whiteville, near the Department of Social Services. New 2018 hours of operation are Saturdays from 8 a.m. until 1 p.m. and Thursdays at Columbus Regional Healthcare System from 3:00 until 6:00 p.m. from May through December. For more information, and a copy of the 2018 vendor guidelines and application, visit www.columbuscountyfarmersmarket.com.